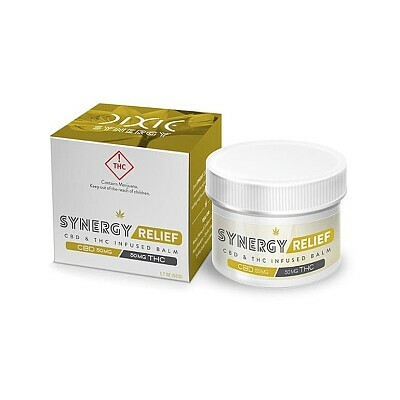 Dixie Elixirs' Synergy Relief Balm applies a simple premise to their topical: Two is always better than one. So when it comes to cannabinoids, Dixie knew that an equal and harmonious blend of THC and CBD would be greater than the sum of its parts. Synergy is the name of the game, and with a 1:1 ratio this topical is ideal for alleviating localized pain by directly applying to the skin. Through skin absorption, Dixie Elixirs' Synergy Relief Balm helps relieve inflammation, pain, and stress, without the pscyhoactive high of cannabis. When it comes to lab testing, Dixie Elixir doesn't test just once or twice, but three times to ensure quality and consistency.